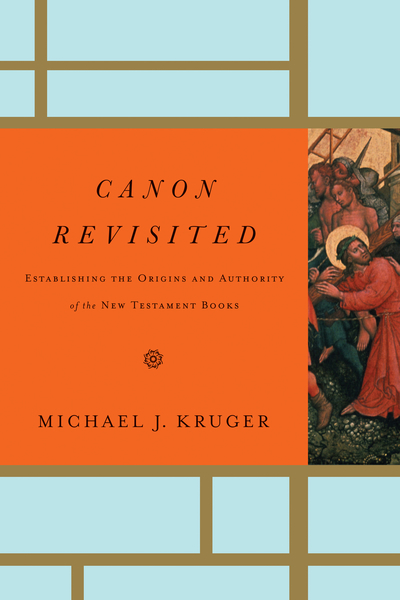 Given the popular-level conversations on phenomena like the Gospel of Thomas and Bart Ehrman’s Misquoting Jesus, as well as the current gap in evangelical scholarship on the origins of the New Testament, Michael Kruger’s Canon Revisited meets a significant need for an up-to-date work on canon by addressing recent developments in the field. He presents an academically rigorous yet accessible study of the New Testament canon that looks deeper than the traditional surveys of councils and creeds, mining the text itself for direction in understanding what the original authors and audiences believed the canon to be. Canon Revisited provides an evangelical introduction to the New Testament canon that can be used in seminary and college classrooms, and read by pastors and educated lay leaders alike. In contrast to the prior volumes on canon, this volume distinguishes itself by placing a substantial focus on the theology of canon as the context within which the historical evidence is evaluated and assessed. Rather than simply discussing the history of canon—rehashing the Patristic data yet again—Kruger develops a strong theological framework for affirming and authenticating the canon as authoritative. In effect, this work successfully unites both the theology and the historical development of the canon, ultimately serving as a practical defense for the authority of the New Testament books.